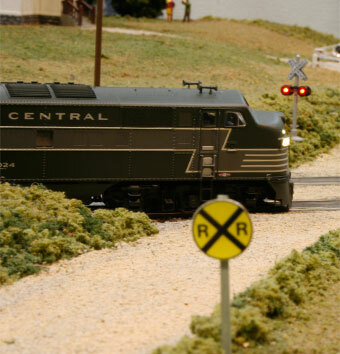 Interested in sponsoring the model train show? Sponsoring industry events, trade shows and exhibitions can have an incredible return on investment. A carefully selected sponsorship agreement can give you a lot of bang for your marketing buck, boost your brand reach and supplement your print and online marketing efforts. Research has found about 81% of trade show attendees have buying authority and 67% of all attendees represent a new prospect and potential customer for exhibiting companies. This means your company has a fantastic opportunity to showcase and sell your product to a highly engaged target market. More money is being spent on sponsorship worldwide as technology advances and trade shows can now give sponsors even more data and insight into their target market. If you’re being interested in being a part of the event as a sponsor, we want to hear from you! Sign up the form below or contact us. Be a sponsor of the longest running model railway exhibition in Australia and the largest event in New South Wales. The Australian Model Railway Association NSW (AMRA NSW) is an organisation of modellers who are interested in model railways of all scales and gauges. © Copyright 2018. Australian Model Railway Association NSW. All rights reserved.